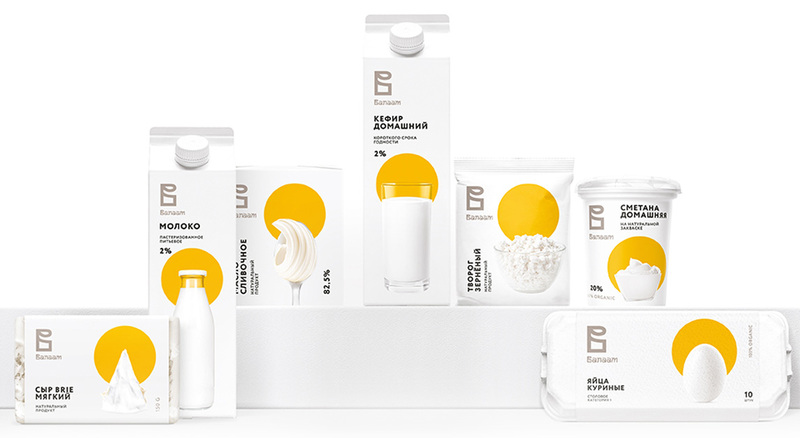 GLBA Branding » Valaam – luminous products! In the past several years the Valaam farm was reconstructed and modern foreign equipment was installed. Today natural products of daily demand are already produced on Valaam, corresponding to the high requirements of taste qualities. Archbishop of the Valaam Monastery, bishop Pankraty together with the general manager «Valaam products» came to the fact that it’s possible to develop a quality brand of a good level and go out with it on trade. We were inspired much with the power and beauty of the reserved Valaam: with its untouched lands, the purest waters and air that absorbed all the best that the northern nature can give. The team faced the challenge: to come up with a design concept that would attract the attention of a wide audience and look competitive among the already existing product brands on the market. 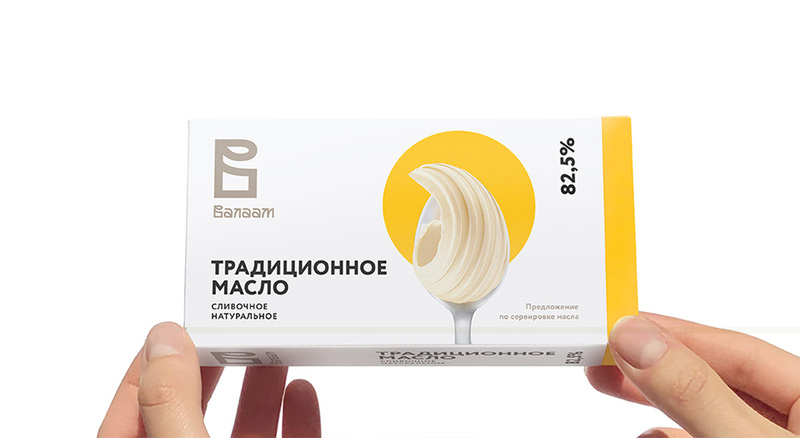 And we managed to develop a federal grocery brand “Valaam”, offering a concise, stylish and effective packaging design for the entire product line. 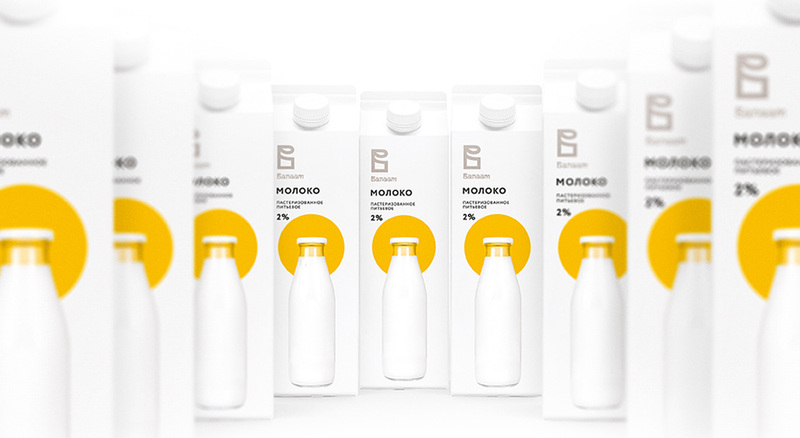 We suggested a totally white packaging relevant to the dairy products as well as to the purity of the monastery and placed one strong symbol in the center of the composition. The yellow dot is the luminous halo, the sun, nimbus and the ultimate eyestopper in the supermarkets. The design is not offensive for Christian audience as it reflects light and purity. At the same time it’s attractive for mass consumers who do not want too much ideology in a pack of milk. The logo is the first letter of the name Valaam designed in a modern way, but preserving the style of ancient Cyrillic typography used in Orthodox religionus icons. 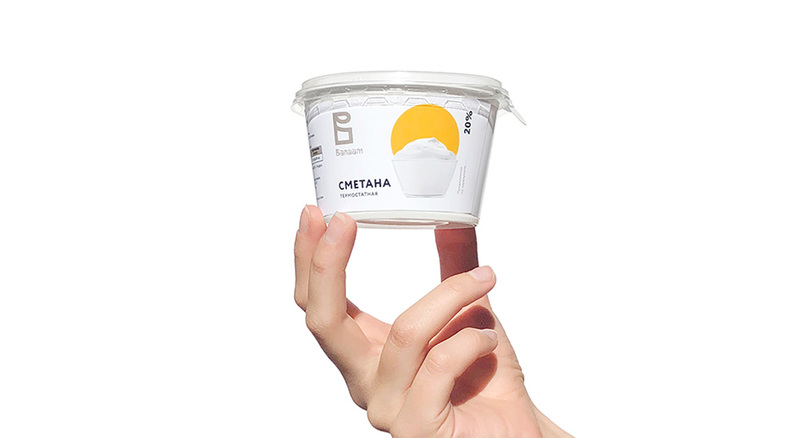 The yellow dot is always placed behind the photo of the product to remind of a halo and transfer the message of goodness. The production of products under the brand name Valaam is carried out by large enterprises on a contract basis. For production, traditional recipes are used, and those that were stored for centuries in the monastery. Therefore, the developed consumer brand is able not only to compete successfully with large federal brands, but also to establish its own standards and criteria. It is assumed that products under the brand name Valaam can be seen on the shelves of stores by the fall.